The last time Eyjafjallajokull had an episode was in 1821, pouring tonnes of ash containing toxic fluoride gas into the atmosphere. It lasted not 24 hours, but until 1823, causing the deaths of many cattle and sheep through fluor poisoning. Eyjafjallajokull has had four eruptions in the last thousand years: in 920, 1612, 1821-1823 and now in 2010. All of the previous eruptions were precursors to more massive activity from the neighbouring Katla volcano but as yet geologists have not registered any seismic activity. Eyjafjallajokull, a glacier covering a volcano of 1,600 metres in height and with a crater of 3 to 4 km in diameter, started becoming unstable at the end of 2009. When a number of small earthquakes fuelled by building pressure seven kilometres beneath the volcano gave rise to a peak in activity – 3,000 earthquakes were registered between March 3 and 5 this year. This in turn was followed by an eruption on March 20. There were two further eruptions on April 13 and 14, under the glacier causing meltwater floods to force the evacuation of 800 people from the slopes. From Wednesday to Thursday a huge cloud of ash, which continues to billow from the volcano, spread eastwards, causing flights to be cancelled across Western and Northern Europe. 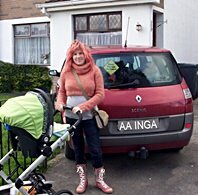 In just one day, volcanic ash spewing forth from Iceland’s Eyjafjallajokull has brought airports to a halt in the United Kingdom, Ireland, France, Belgium, The Netherlands, Switzerland, Norway, Denmark, Sweden and Finland and is expected to spread over other areas of Europe by Thursday evening. The last time this volcano blew, it was deadly, emitting large quantities of toxic fluoride gas. Apart from reducing visibility and affecting flight control mechanisms, volcanic ash can damage the engines of aircraft and according to international regulations, the risk is sufficiently high to merit a closing of air space. An aircraft engine takes in air, compresses it and turns it into thrust by expelling it at high speed. If the air is mixed with particles of ash, it can clog hydraulic and electronic systems. By early morning Thursday, Scotland’s airports were closed, 80 flights had been cancelled at Birmingham and London airports were closed at midday. The United Kingdom, Ireland, France, Belgium, The Netherlands, Switzerland, Norway, Denmark, Sweden and Finland have closed their airports until the cloud has settled down. A spokesperson from the National Air Traffic Services stated that the ash cloud is expected to spread over Europe by nightfall on Thursday. The last time this volcano erupted in 1821-1823, sheep and cows on its slopes were killed by toxic fluoride gas which also affects horses and humans. Easily absorbed through the skin or eyes, a quantity as small as 28 mg per kilo of body mass is fatal. It is currently not possible to predict how long the ash cloud will remain over Europe’s skies, especially because if the volcano continues to spew forth tonnes of material every hour, the situation can only worsen if the wind continues to push the plume eastwards. The plume itself reaches 30 to 35,000 feet high. 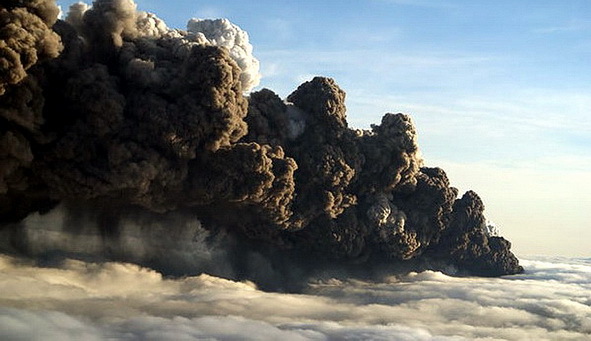 A network of Volcanic Ash Advisory Centers are monitoring the movements of the cloud, using a technique which models the plume (taking into consideration its altitude, time of formation and volume) and this model is placed onto a graphical forecaster program format which uses wind plans to predict movements. The bottom line of this equation is the direction of the wind, and that depends on Mother Nature.